This small and handy rescue knife should be kept inside every vehicle. 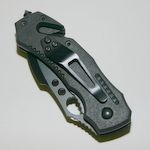 The sturdy black handle features a liner locking mechanism and pocket clip for convenient carry. 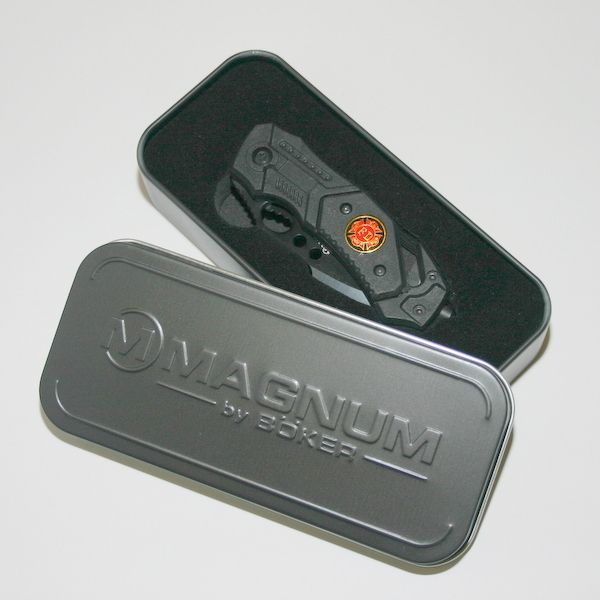 As with other knives in the "fire" series, it comes in its own presentation tin. 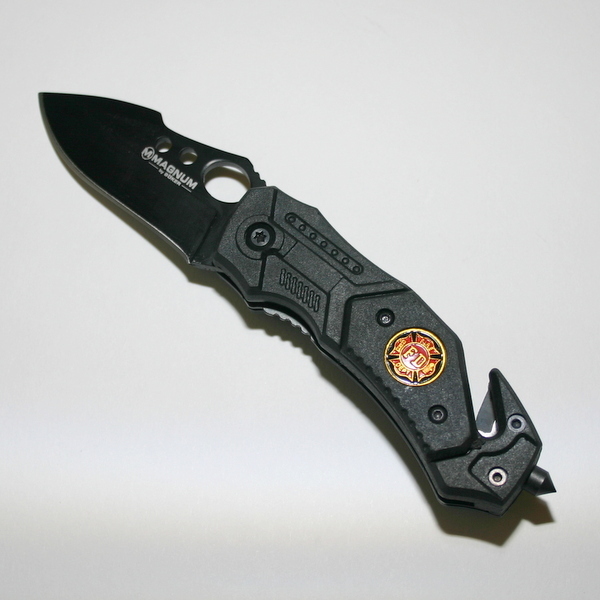 The Boker Magnum Fire Ant also features a black coated 440 stainless steel blade, seatbelt cutter and glass-breaker. 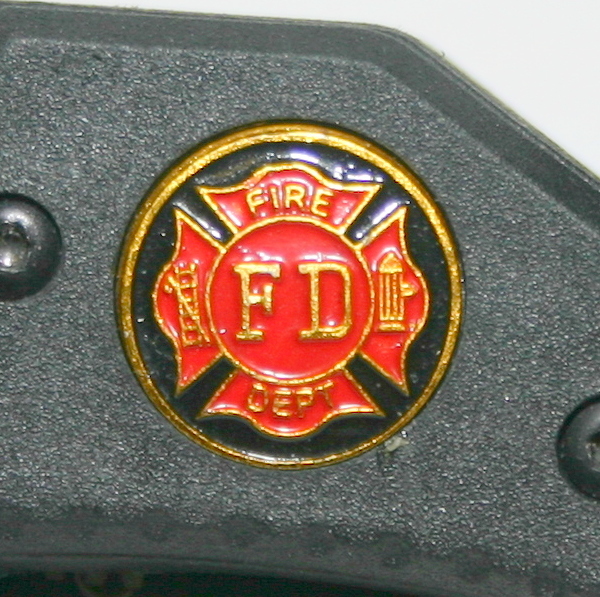 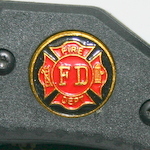 The Maltese Cross Fire Department logo is prominantly inlaid.